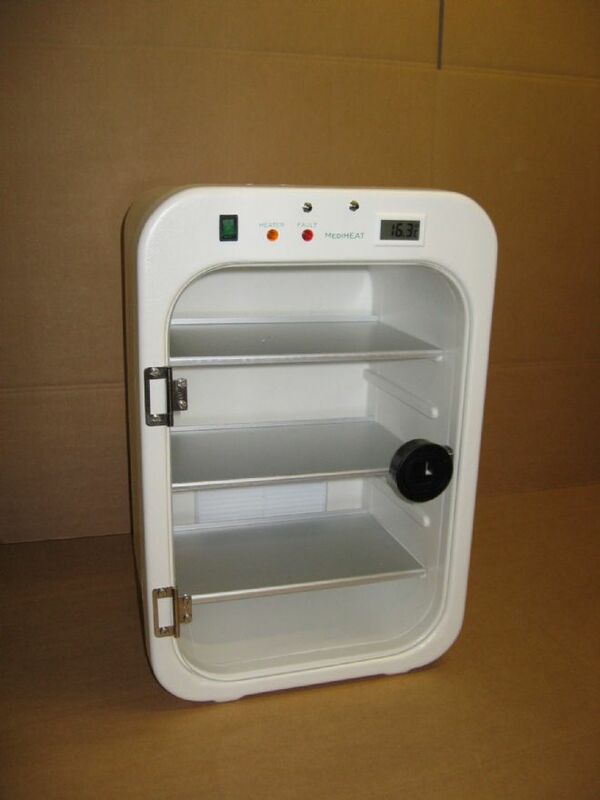 IV Fluid warming cabinet for Accident & Emergency departments, Operating Theatres, CT Scanner Contrast Warming, Bodyjet fluids etc. Holds eight 1 litre fluid bags or equivalent. Warm air circulates throughout the cabinet, accurately controlled by an electronic thermostat to 38 deg C +/- 1 deg C. Internal temperature displayed on LED display. Over-temperature protection ensures fluids cannot overheat. Three shelves with adjustable height. This device can be wall mounted. Please select from the drop down list below if this feature is required. The standard device comes with a non locking door latch, but a locking version is available. Please select from the drop down list. If placing your order offline and you require a locking door latch, please state product code MH1200L.